Mercedes-Benz is going to introduce the second-gen GLA which is based on the 2019 A-Class automobile which was launched in March 2018. This new modified SUV has been seen testing before and it looks as if an A-Class is on stilts. This new Mercedes Benz SUV is present in four forms: 200 Sport, 220 d 4Matic, 200 d Style and 200 d Sport. Its price begins from Rs 31.72 lakh and goes around Rs 39.03 lakh. The GLA class also acquires a full-blown AMG version. The 45 AMG is of price Rs 77.84 lakh. The GLA have three engine variants: The GLA 200 d is mechanized by a 2.2-litre (136PS/300Nm) diesel engine, while the GLA 200 receives a 2.0-litre (183PS/300Nm) petrol engine and the hindmost model, the GLA 220d 4Matic powered by more energetic and torque 170PS and 350Nm engine. On the other hand, the GLA 45 AMG is mechanized by a 2.0-litre turbocharged petrol engine, which generates 475Nm of high torque and 380PS of highest power. The Mercedes-Benz GLA comes with various safety features: brake assist system, electronic stability program, six airbags, adaptive braking system, hill start assist, tire pressure monitoring system, traction control, and attention assist. Other stunning features comprises with LED headlamps, electrically adjustable front seats, reverse parking camera, panoramic sunroof, push-button start, an 8-inch infotainment display, cruise control, and rain-sensing wipers. The Mercedes Benz GLA has many rivals, which are Volvo XC40, BMW X1, and Audi Q3. The Mercedes-Benz GLA Class consists of a 7G-DCT transmission system which is the reason behind its faster gear shifting ability. The model’s details for the engine are excellent as well as with the SUV which has 4-cylinder in-line motor, using the 2143 cc displacement storing. The Mercedes Benz GLA Class gives phenomenal figures of 138 PS power and 300 Nm torque. 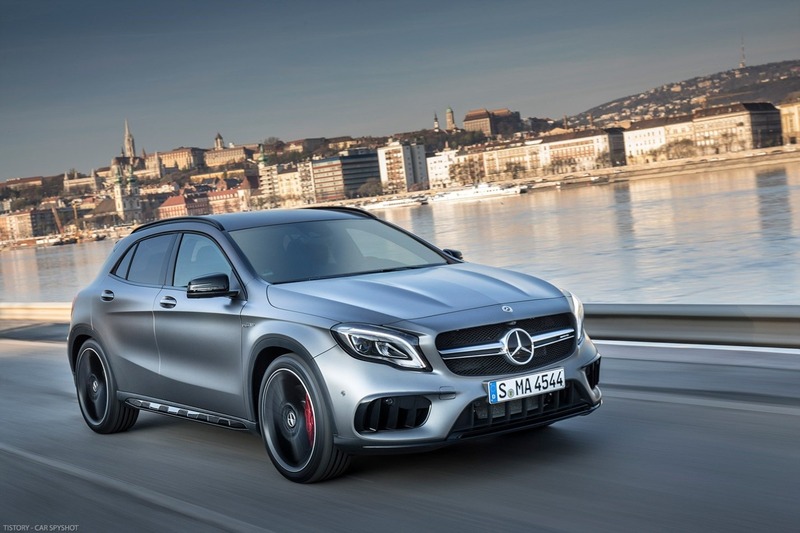 Mercedes Benz GLA Class have got really good reviews, which have given the small SUV a good place in the market. This GLA Class model is known for its awesome design. It features the fiber optics for the tail lamps and LED headlights. The SUV is a model having 5 doors. 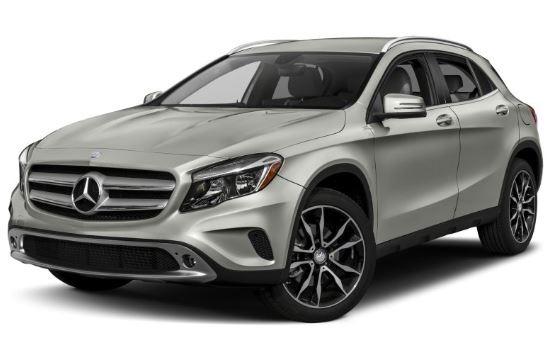 If you are choosy in terms of model design, there are fairly a few colors for customers to make a choice from the Mercedes Benz GLA Class which are Cirrus White, Jupiter Red, Cosmos Black, and Mountain Grey. The Mercedes Benz GLA Class interiors have top quality of material for its covering that gives the cabin of the car a cool sporty yet elegant look. The cabin of the car is posh and have lots of space on it. The car’s cabin has leather seat covering in it, which gives enough proof for the former. The GLA Class has many interior features like electric glass sliding sunroof for the front, an effective 8-inch high-resolution multimedia system and a panoramic glass roof for the rear portion. Mercedes Benz GLA Class mileage is 17.9 km, which is something that will attract most of the customers, allowing them to attain much more distance for a decent amount of fuel. Mercedes Benz GLA Class has a strong safety system with the available adaptive brake lights flashing, attention assist, headlamps of LED, hill start assists and many other features. Mercedes Benz GLA Class has Electronic Stability Program (ESP) too, which decreases the possibilities of overturning and oversteering. The SUV has a striking ability to break a 205 mph top speed along a powerful suspension system and because of it, the car is capable of facing all the problems of Indian roads very easily. Having so many features such as excellent pick-up, a delight to over twisty sections, undulated straights, Stunning looks, handles very well and high-speed corners. Even though the car runs very smoothly, but not in every case as at top end rev range it loses the smoothness. The cabin is very spacious with adequate headroom, shoulder room, and knee room, brakes have the awesome power of stopping, the rear seat is more comfortable and forward vision is really good from it as it has set high in relation to front seat, excellent AC cooling system, but the small rear window contains visibility. In the automobile world, Mercedes Benz GLA Class is known to be one of the most pursue-after brands and is a representative of the class and high standards. Everyone always has huge expectations from a Mercedes Benz car and Mercedes Benz GLA Class 2016 unquestionably matches up to that yardstick. The price of the one and only Mercedes Benz GLA Class in India is about Rs.36 lac as it is the crossover that competes against Volvo V40 and Audi Q3 Cross Country. Whether it is petrol or the diesel ones, the Mercedes Benz GLA Class have lots of alternatives to choose from. The awesome GLA Class can run speedily and have a powerful engine that gives outburst to its performance. This Mercedes Benz Car is excellent, on the basis of versatility and flexibility as it has so many stunning features and it has control buttons on the driver’s seat which enables the driver to have control over the car without even moving much. The Digital meter controls with the blue colored lights in the car is the reason behind having a pleasurable and desirable driving. Therefore, if you are a person with a class and has a higher budget, the Mercedes Benz GLA Class 2018 car is the most suitable car for you.